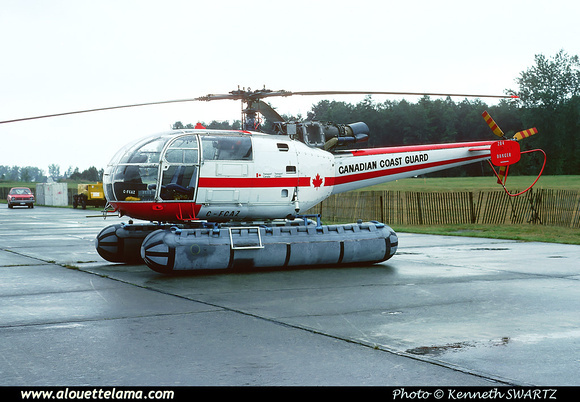 C-FCAZ Eurocopter (Aérospatiale) SE3160 Alouette III MSN 1358, Coast Guard-Garde côtière - Abbotsford, BC - CYXX - 13-08-1976 - Photo Kenneth Swartz. 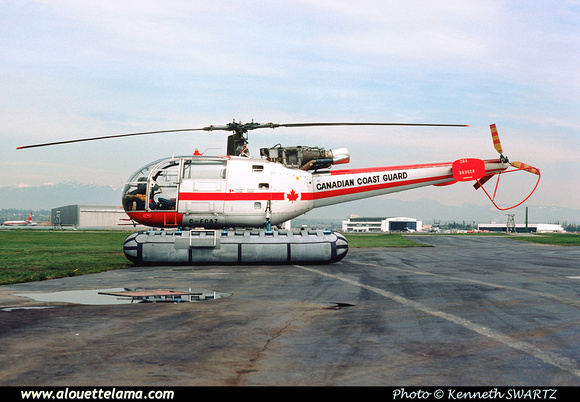 C-FCAZ Eurocopter (Aérospatiale) SE3160 Alouette III MSN 1358, Coast Guard-Garde côtière - Vancouver, BC - CYVR - 22-04-1977 - Photo Kenneth Swartz. 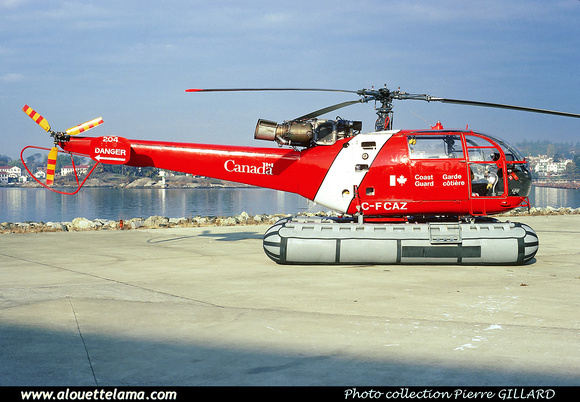 C-FCAZ Eurocopter (Aérospatiale) SE3160 Alouette III MSN 1358, Coast Guard-Garde côtière - Victoria, BC - 03-1986 - Photo Pierre Gillard collection. 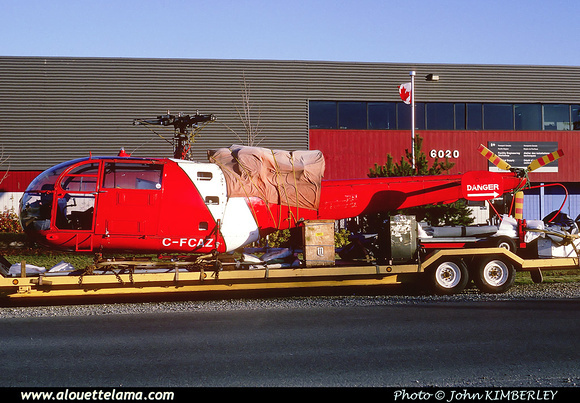 C-FCAZ Eurocopter (Aérospatiale) SE3160 Alouette III MSN 1358, SAIT-Southern Alberta Institute of Technology - Richmond, BC - CYVR - 03-1988 - Photo John Kimberley. 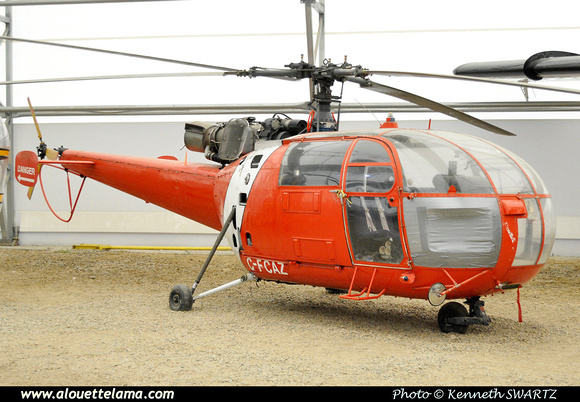 C-FCAZ Eurocopter (Aérospatiale) SE3160 Alouette III MSN 1358, Aero Space Museum of Calgary - Calgary, AB - CYYC - 30-09-2014 - Photo Kenneth Swartz.